Yesterday Gracie, Layla and I went out with Auntie Lucy to go and see Great Nannie Russ on her birthday. A few family members were meeting up at Farthingloe Farm Restaurant for a bite to eat. Gracie and Layla had already eating but still managed to find room for cake, which in turn gave them lots of energy to burn. 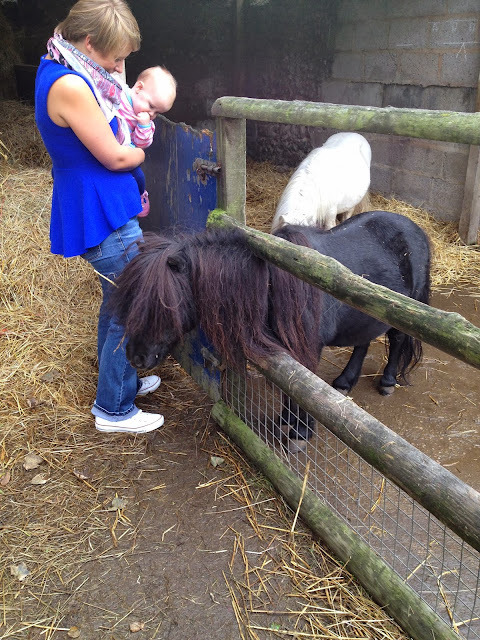 We decided to pop outside and say hello to the shetland ponies. As you can see from the picture below they were quite friendly. Layla kept saying "Hi ya" to them, unfortunately she got no response. there is just something about kids and ponies! So cute, Layla talking to the ponies! I hope that Great Nannie Russ had a fab birthday! 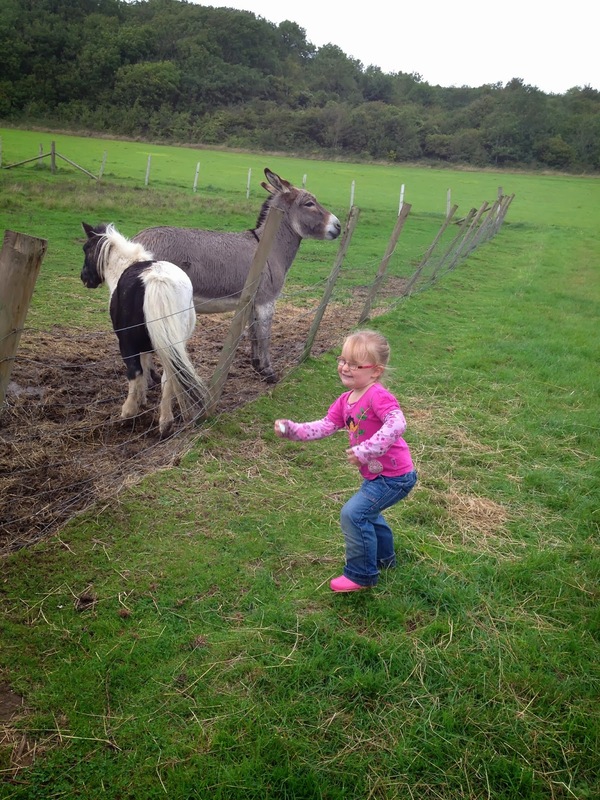 Lovely photos of the girls having fun outdoors chatting to the ponies and donkey - so sweet. Thanks for linking up and sharing with Country Kids.